Edited by Nazgûl, 02 July 2007 - 08:26 PM. Those skins are 1000000% crisp. Fine job, you did. Do half-trolls get that look, too? Great stuff! Nice skins! 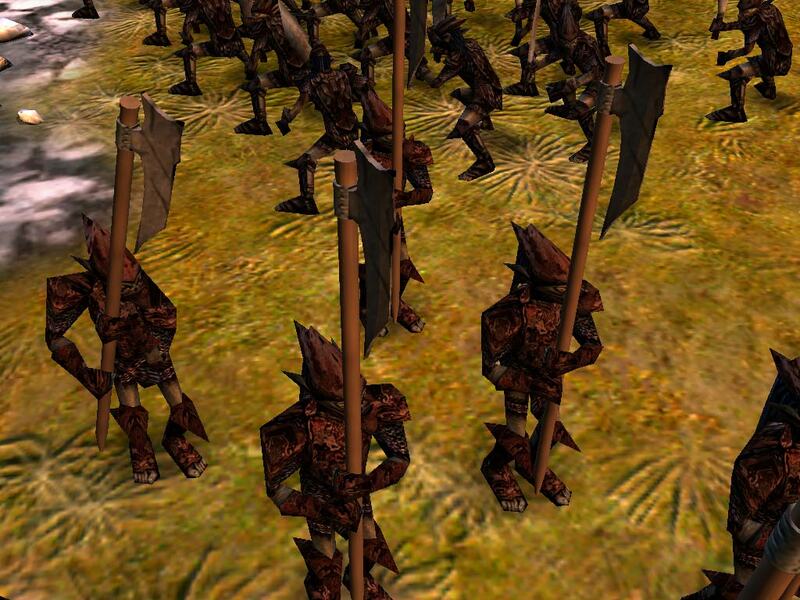 Do the Pikemen use the Mithlond-Anims for Porcupine and stuff? These pikemen look epic! Did you make them yourself? 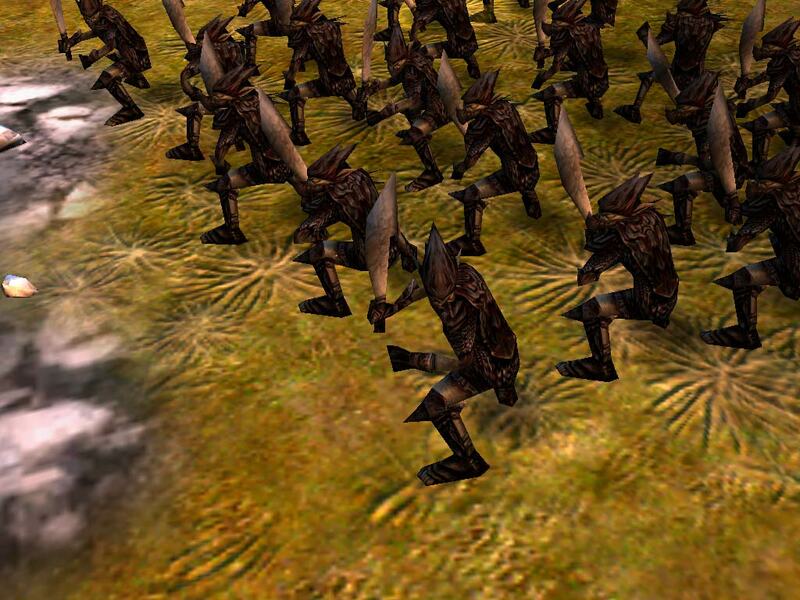 Or at least do that to the Orc Pikemen? Maybe we should ask TDP about new models for Gobbos? Their armor is a bit different really and TDP made those excellent Morguls... I guess he could do some cool goggo stuff too, hehe But maybe there's items from Gorgoroth Orcs that will fit the Gobbos too? Edited by Nazgûl, 02 July 2007 - 10:57 AM. And i bet the gobbos aren't picky, ... , as long as it fits their size +/-10 whatever. very sweet, but i think the pole of the gob pikes needs to be darker. I think goblin pikes should use the goblin warrior anims when moving, then stand up to stab people when they get close. 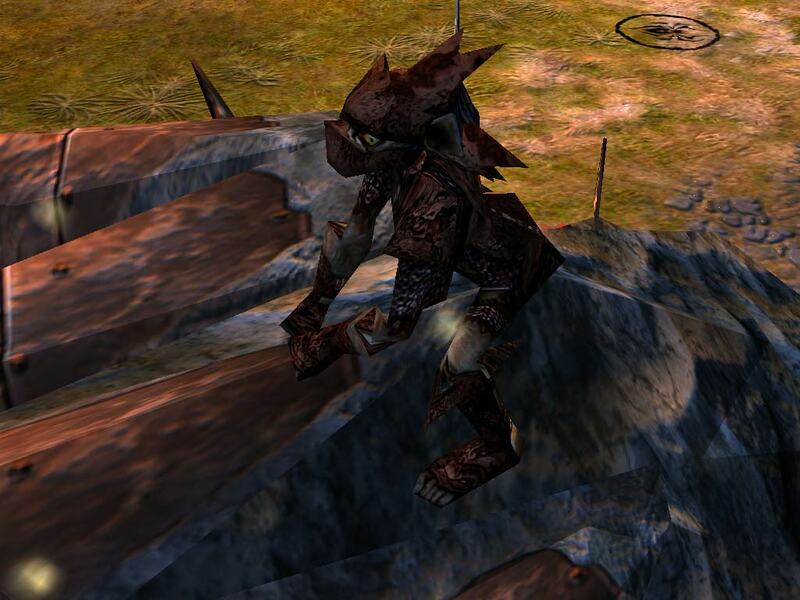 Something about the goblins "jumping" like the uruk pikes do just doesn't seem right...but then again I guess that's for later down the road. once again AWESOME skins, can't wait to see the new models. Those skins are 1000000% crisp. Fine job, you did. I agree with the digitalish poles...Needs to be darker. What is that Goblin doing in the first pic? EDIT: Just remembered: Is the bounding boxes for them of a decent size? Edited by clonecommand, 02 July 2007 - 06:48 PM. Gosh...I'm still in awe...These have got to be the best skins you've evr done! I might actually play the gobs for once. Is this gonna be in 4.5?